So what the bleep was going on? Armin actually opened the 20th edition of the Friends of mstel Live! (Vrienden van Amstel Live!). 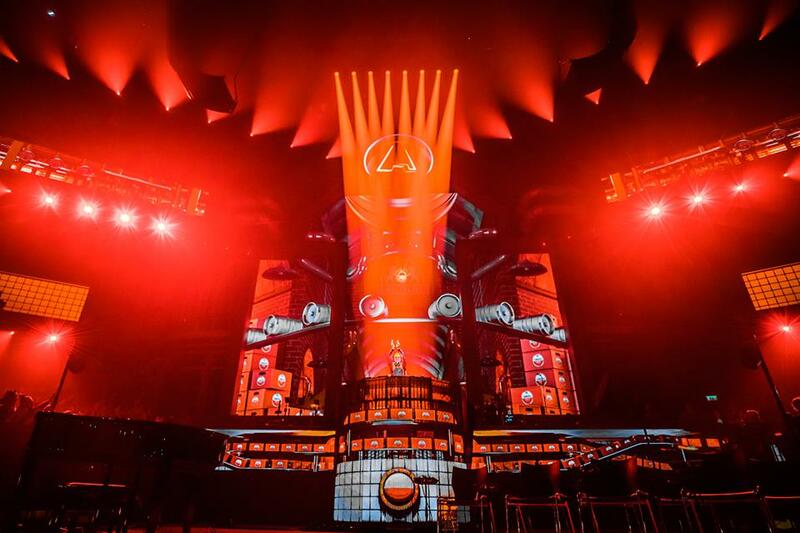 In the sold-out Ahoy venue (Rotterdam, The Netherlands) top DJ Armin Van Buuren surprised the visitors by opening the show with “This is what it feels like” together with famous Dutch vocalists Marco Borsato, Simon Emperor, VanVelzen, Mr. Probz, Paskal Jakobsen, Nielson, Jan Dulles, Marcel Veenendaal and Nick painter on piano. The Friends of Amstel Live can be described as Hollands biggest pop-up bar. And when we say big, we mean it. During the event which encompasses multiple shows, nearly 200.000 people visit to sing along with songs performed by local Dutch superstars. Armin’s performance was very well received and it is the first time Armin van Buuren is part of the program. In 2016, he was a one-time guest. At The 20th Edition, the DJ joins with artists like Kensington, BLØF, 3JS, VanVelzen, Jacqueline Govaert, RONDÉ, Jeroen van Koningsbrugge and DI-RECT. Armin van Buuren: “With great pleasure I kept my agenda free for the Jubilee edition of this massive event. Every Dutch Artist wants to stand here. With our creative teams and many fellow artists, we have worked hard on unique collaborations over the past year and I am glad that we can finally show and hear this,” says van Buuren. In 2018, it is exactly 20 years since this particular event made a flying start in a music café at the Thorbeckeplein in Amsterdam under the name of gentlemen of Amstel, as an evening where artists/friends performed with each other. It was such a success that the second edition was already organised in Ahoy. Meanwhile, the Friends of Amstel is Live! became the largest indoor event in the Netherlands in which numerous special duets are central and friendships arise. During the shows at 18, 19, 20, 22, 24, 24, 27, 27, 31, 31, 31, 31, 31, 31, January and 1 AND 2 February, Amstel Bier welcomes over 190.000 visitors, a visitors record for the event and Rotterdam Ahoy. The post ARMIN VAN BUUREN GRACES THE RED CARPET.. BUT NOT FOR AN AWARD appeared first on Hammarica.